Because this week’s theme is names, I didn’t include very many pictures (I try not to post the girls’ names on here, so that’s why)! Make the letter n in playdough. If you have letter-shaped cookie cutters, this is the perfect time to use them (I highly recommend having a set, because you can use them for all kinds of activities)! If you don’t have any, just roll out the dough and form into the shape of a lower-case n.
While you have the play dough out, you can also try these play dough name puzzles. This is an easy busy bag activity we did. Just put your child’s name on a notecard, cut the letters apart, and have them put it back together. You can find the complete instructions here. Obviously this is not my daughter’s name, but I wrote hers with a marker and had her trace over it in a variety of colors for a rainbow name tracing activity. Take time to write a letter to your child about how you picked his or her name and why they are special to you. I actually did this quite a while ago for my girls, but they still treasure those letters! Making letter cookies is always fun–and they loved seeing their names in cookies (and making their dad’s name, too)! Craft stick name puzzles are simple to make, and adding the letters of your child’s name on the bottom makes it easier to figure out how to put the puzzle back in order. Try a variety of ways to explore names. Download God’s Little Explorers: Week 16 lesson plans. 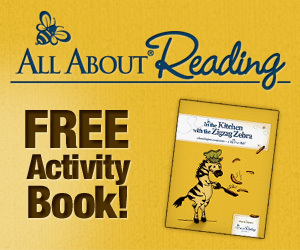 Linked up with Homeschool Creations Preschool Corner. Just said a prayer for you, Stacie! 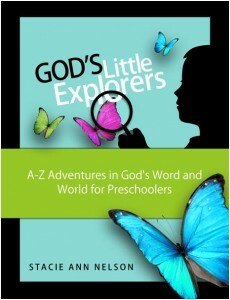 Thank you so much for God’s Little Explorers! It inspires me and helps me so much. We are a book-loving family, so I have been looking up extra books to go with the themes. I thought I’d share a few of the in the comments for others. Here is a list of books I found for letter N. Some of them are new favorites here at our house!